Catch of the day in Belton! 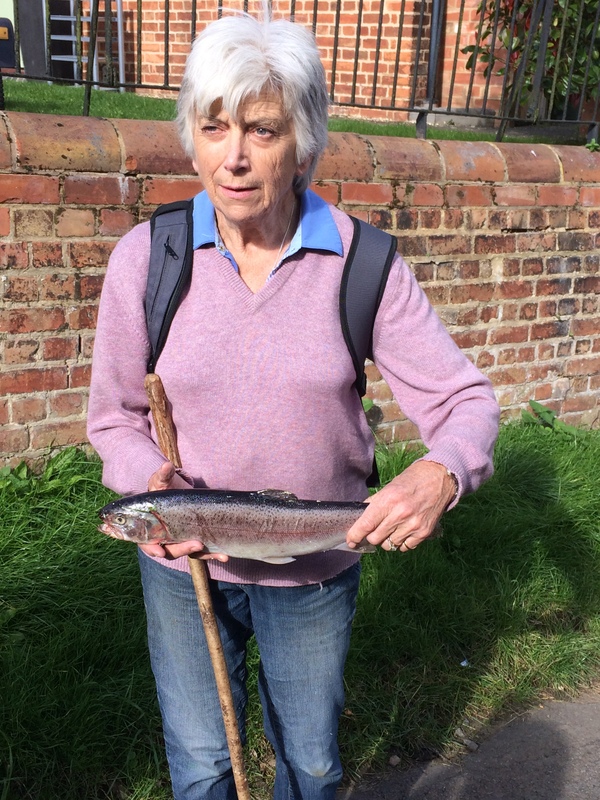 Three ladies, coming back from a ridge walk, noticed a large rainbow trout thrashing about near the old chapel. With no water nearby the kindest and no doubt, tastiest, thing was to dispatch it with all haste. The prospect of finding a live fish far from water was at first a mystery. However, a quick forensic search of the body revealed claw marks making it clear that an unlucky bird of some size had lost its catch over Belton!